4 Have You Wondered How Rich Dana Perino Is? Born Dana Marie Perino on the 9th May 1972, in Evanston, Wyoming USA, and is a political commentator and TV host, but best known to the world as White House Press Secretary under George Bush’s administration, only the second female to hold this appointment. Of part-Italian ancestry through her father’s family, Dana was born to Janice and Leo Perino, and has a younger sister and a younger brother. She and her siblings grew up in Denver, Colorado, where Dana received her high school education from Ponderosa High School, and after matriculation enrolled at Colorado State University-Pueblo, from which she graduated with a bachelor’s degree in mass communication, with minors in Spanish and political science. She later furthered her studies at the University of Illinois, Springfield, from which she obtained a master’s degree in public affairs. Dana started honing her professional skills while at Colorado State University, serving on the forensics team and also working at KTSC-TV and KCCY-FM on the 2 to 6 am shift. Then she started working for WCIA, which is a CBS affiliate, where she served as a daily reporter with a focus on covering the Illinois Capitol. After Dana finished her education, she moved to Washington DC where she became a staff assistant to Congressman Scott McInnis, then became press secretary for Dan Schaefer, serving in the position for the next four years until Schaefer retired in 1998, when Dana moved to Great Britain with her husband. She spent three years in Great Britain and upon her return to the USA, she was hired as a spokesperson for the Department of Justice, holding the position for the next two years which certainly benefited her net worth, and then in 2003 became the associate director of communications for the White House Council on Environmental Quality (CEQ). In 2005, Dana was appointed as Deputy Press Secretary by Scott McClellan; in the next two years she would often communicate with President Bush’s director of communications, press secretary, and other important figures, while she also served as the spokesperson for the White House on environmental issues, thanks to her previous experience with CEQ. At this time, Tony Snow was the Press Secretary, but once he was diagnosed with colon cancer and had to take time off to receive treatment, Dana was appointed as the Acting White House Press Secretary from 27th March until the end of April 2007. In August the same year, Snow resigned because of his illness, and Bush named Perino as his permanent Press Secretary, remaining in the post until the end of Bush’s tenure in January 2009. After the Bush administration ended, Dana became a political commentator, and joined the Fox News network, becoming a huge part of the network, serving as the co-host of the show “The Five” since 2011, and also as co-hostess of the show “Fox and Friends” since 2012, while she has also contributed to such shows as “Special Report with Bret Baier”, then “The Kennedy Show”, “The Story with Martha MacCallum”, “The Jelly File”, “Fox News Sunday”, and many others. 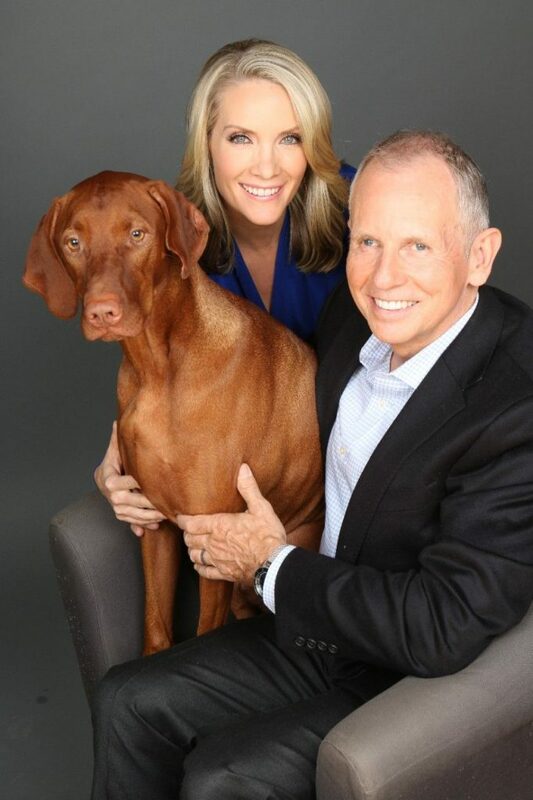 Furthermore, she now has her own show “The Daily Briefing with Dana Perino” since 2017, while also co-hosting the show “Perino & Stirewalt: I’ll Tell You What” with Chris Stirewalt, which previously was a podcast production. Have You Wondered How Rich Dana Perino Is? Since launching her career, Dana has become one of the most praised political commentators and has held a number of important positions in her career, which have consistently increased her net worth, and she now has a salary of $250,000 per year. Furthermore, her net worth is estimated by authoritative sources at over $4 million. Dana met her future husband, Peter McMahon, an English businessman who owns companies in the area of international marketing and sales of medical products, in 1996, and just two years later the two were married. They went to England, but after three years, returned to the states and settled in Washington, where they still reside. Dana has become popular on the internet too, managing to expand her influence to social media platforms, especially her official Twitter account, which now has more than 1.75 million followers. She has shared her work success with her most loyal fans, including her story about Facebook owner Mark Zuckerberg, while also sharing details from her personal life, such as the love she feels for her dog. Dana is of part-Italian ancestry – her father’s parents migrated to the US. She owned a retriever for 12 years before he died on the 25th March 2012. She now has a dog named Jasper, born on the 16th April 2012. She is good friends with lawyer and former National Security Advisor Stephen Hadley. Dana was a part of the high school speech team. She is a big fan of the singer/songwriter Dierks Bentley.